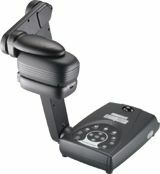 There are as many uses for document cameras as there are styles of product. Teachers are getting more creative in integrating this technology into their curricula, using document cameras to project everything from historical artifacts to items brought to class for show-and-tell. Science teachers employ them to demonstrate proper lab procedures; math teachers have students use them to share problem-solving tips. And everyone appreciates being able to read from a book that all students can see. Read on to find out how these five districts chose the best document cameras for their needs and what they are doing with them. “We like the immediacy and versatility of making information visible to the entire class,” says Flaherty. “Teachers say that show-and-tell has a new life to it.” The teachers of instructional-technology resources are pleased that no training is necessary. They plug the camera in and turn it on, and the other teachers use it immediately. “Dukane showed us a high-end document camera that would record images, play back, do presentations, and more. It was higher quality than others and had the best price,” Hysaw says. The Dukane cameras’ six-foot cords let teachers walk around the room, says Pam Holcomb, a training coordinator, adding that Dukane met the district’s needs. “Mobility,” Holcomb says. Teachers also like the flexible neck and the completely computerized interface-software controls. Teachers want the camera to be able to save images into a PowerPoint and record tiny data so they can use it as a mini video camera or regular camera. Teachers were afraid at first; they thought they’d break it. Now they and the students love it and feel they cannot live without it. “We’re in the second year of using it, and teachers are moving beyond the basics, using it for book reports, science fair projects, and so on,” says Holcomb. It integrates with SMART Notebook, which Maxlow’s teachers already use. Teachers can easily save photos from a document camera into a PC with one click. An administrator saw document cameras at a conference in 2005 and bought a couple for the teachers to test. Students and teachers liked them a lot, so they decided to buy more. Everyone liked Lumens’s features and warranty plan, says Keoki Yee, a computer technician for the district. The Lumens also showed a crisper picture and focused faster than all the others he tested. Of the five models the district has, it prefers the older ones, because their larger backlight is less distracting to the kids. “We have staff-development days where we show products and do workshops on how to integrate it into lessons,” Yee says. Each school also has a technology coach who does daylong training sessions. “While analyzing data, we realized that there was an immediate need in some schools to get students more engaged as well as develop their vocabulary,” says Laurie King, assessment-technology coordinator. Star Rosario, a fifth-grade teacher, bought a document camera to help students concentrate and perform better, and she thought its interactive approach would encourage them to interact more. She also felt it would improve instruction. “I chose the ELMO because I saw it at last year’s FETC conference,” says Rosario. “Its simple features fascinated me, it was very teacher-friendly, and it could be used in a variety of ways to meet the varying learning styles of my students.” The ELMO salespeople took time to teach her about the camera, she says, were genuine and professional, and shared her passion for teaching with technology. It captures the attention of her students, especially those with hearing impairments, and Rosario loves that. It lets her use manipulatives to teach math to the entire class as well as to select groups. In addition, she can spontaneously project any image that occurs to her, instantly creating teachable moments without having to run to make copies or use a transparency. It is also compact and easy to store or take on the road. “There is nothing about it I dislike or would want to change,” she says. The DC-06 offers sharp color reproduction, even in low-light conditions. It’s easy to use, works with most interactive whiteboards, and has one-touch auto-focus. $399. The UF-130ST, part of a newer, more affordable line of document cameras, features top-notch color accuracy and images and glare-free illumination on all materials. $2,900. The RE-455X video visualizer lets teachers display documents, media, and 3-D objects easily. $2,299. Users can connect 2 Mac or PC computers (with audio), a DVD player, and a VCR directly to the QOMO QD700 with only one VGA cable. The QD700 also has a motorized camera head that allows users to scroll up and down the page. $1,695. The lightweight and mobile TLP-C001 document camera produces high definition and superior image quality with a 3-million pixel CMOS image sensor that displays fine-print text through Toshiba’s projectors. $609.